Thanks so much to Lindsay for last week’s post, and for everyone’s lovely responses as always. Adjusting to parenthood has been very tricky for me, and I’m sure countless others, so I really appreciate Lindsay’s honesty. I’m so excited and privileged this week to welcome Carrie as a guest blogger. She is a GP currently doing amazing work around Perinatal Mental Health, find out more below. Picture the scene: a late rainy Saturday afternoon, in the freezer aisle of a busy supermarket. Already feeling annoyed with myself as I had forgotten to order an online shop earlier in the week (failed New Year’s resolution number 37), I have to spend a tedious hour of my precious weekend grocery shopping. My gorgeous sweet-tempered first born is loving sitting in the trolley making new friends with other shoppers, despite her plump little legs being squished into the child seat of the trolley. “Milk, nappies, something for dinner with the in-laws…” My caffeine fuelled brain rapidly moves through images of the contents of our fridge (perhaps I should have taken photos – didn’t I read that somewhere?) then our food cupboard. This whilst all the time simultaneously rocking the trolley back and forth, singing the 14th verse of “the wheels on the bus” and mentally meal planning for the coming week ( failed New Year’s resolution number 36) – all is just about working – I am super mum. I can do this. And then it happens – my loud and vocally precocious first born spots something in the freezer cabinets and you know what comes next – ” mummy, I want that one!” she shouts excitedly. Bottom lip wobbling, tears freely flowing, whole body violently trembling, and the cry that every parent fears – a deep howling loud enough to prompt a practice fire drill in most public places – and there it is – the toddler tantrum. Suddenly my super mum powers escape me and I look in my trolley for some weaponry – sadly lacking – extra-large bag of frozen chips, 2-4-1 household cleaning stuff ( that I confess will sit in the cupboard under the sink until 2 hours before my mum comes to stay next time) and a bottle of Bombay Sapphire. Hmmmm. Despite never being more than a metre away from a little packet of raisins in every handbag/change bag/car door for the rest of my life, I cannot find one now to placate my little darling. An inquisitive peer into my trolley….and an immaculately plucked & pencilled eyebrow raise – I could read her thoughts like they were her medical notes in my consulting room. How I suddenly wished for an actual fire alarm to save me from the situation. And then something unexpected happened – my screaming darling stopped – started smiling, babbling and reaching out to wave at this lady. I have never managed to escape an awkward situation quite so quickly – politely smiling, using my 3 point turn skills to negotiate a line of escape route and briskly marching down towards to household aisle (again). “That, sweetheart, is a LADY”. Allowing myself a slight corner of a smile, I move on to the bakery aisle and throw a large pack of custard doughnuts into the trolley. How could I have averted that tantrum, why did I feel judged by my trolley contents – and why was I so embarrassed by my toddler’s gender identification difficulties? It was only later that I could reflect and think about this in more detail and then a moment of clarity – these feelings were all internal projections of the situation – harsh interpretations that didn’t accurately reflect what happened. My elderly patient was being nothing other than friendly, polite and interested. Those that stopped to stare were actually just being very British about the situation – weighing up the pros and cons of breaking social etiquette and stepping in to help. My own insecurities about not being the perfect parent were far more of a problem than anyone else’s opinion of me. 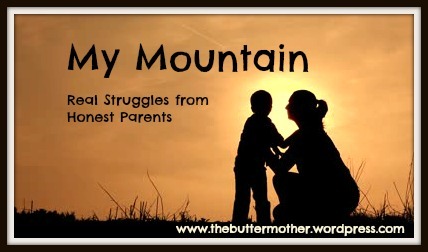 We are by far, our own worst enemy, when judging our parenting ability. Being a GP is hard, intellectually and emotionally, even harder after a broken night’s sleep with a feverish child, but being a parent is so much more challenging. Being able to listen, support and advise others with parenting conundrums doesn’t always translate into you knowing instinctively what will work for your child in a particular situation. Those skills might help you later dissect what happened, breaking down the underlying psychology of the situation, but in that moment of extreme unwelcome expression of self will from your offspring, you are just as totally, overwhelmingly baffled as any other parent. Living and working as a GP in the same small market town has its advantages (short commute for one) but your life outside work becomes being more visible to your patients and so do your bad habits. If you can lose your sense of exposure, it can enhance your professional relationship that people can see you are facing the same deliberations, discussions and decisions as they are. And if we stop worrying about what other people think about our offspring’s behaviour, particularly when we are out and about, we would have more energy to focus directly on our conversation with that child and work out what is making them behave like that – are they tired, hungry, bored scared or just need a cuddle? 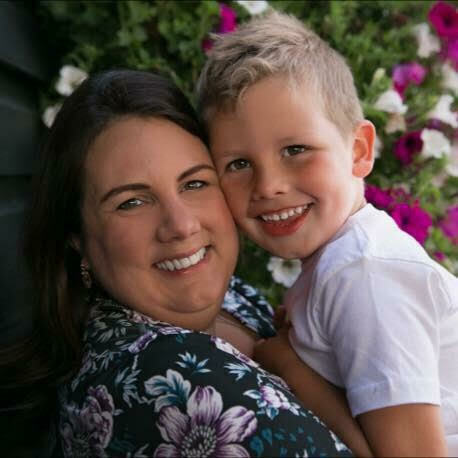 As well as being a GP in Oxfordshire, Carrie works for the Royal College of GPs as a Clinical Fellow in Perinatal Mental Health which you may know is a Clinical Priority at the moment. Since taking on this role, she has been shocked at the far reaching negative impact and consequences of maternal mental health illness but equally amazed at what inspiring work is being done to tackle the problem. She is part of a team working on a series of on line modules on Perinatal Mental Health which is hopefully to be launched in the spring – free for all NHS employees – and she’s really excited about getting the message across to such a potentially large audience. To find out more about Carrie’s work you can follow her on Twitter. People will find a way to judge no matter what your profession, unfortunately. It surprises me that we’ve never had a gender identifying incident. Every old guy with a white beard is Santa though. I bump into my doctor near my area a few times and it can be awkward!